If you are conducting keyword research, that means that you are actively trying to rank in the SERPs. Ranking does not end with great keywords, however, and you are going to need to take the necessary steps to ensure that your site is up to par. That’s where Siteliner comes into play. 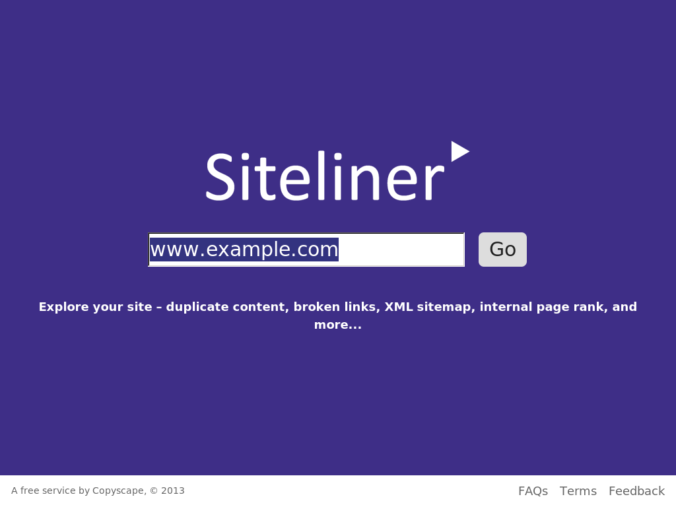 Siteliner helps you identify a wide range of issues that could be holding your site back from better rankings. By simply plugging your site’s URL into the engine, Siteliner will help you identify problem areas of your website like duplicate content, broken links, average page load time and other useful data. Siteliner also gives business owners access to XML sitemaps and detailed reports for a full understanding of how issues are impacting your business’ home online. While the free version does limit the number of pages that can be crawled, it should still be more than enough for most small business owners. If more power is needed, Siteliner does offer paid versions of its service to greatly expand your impact.